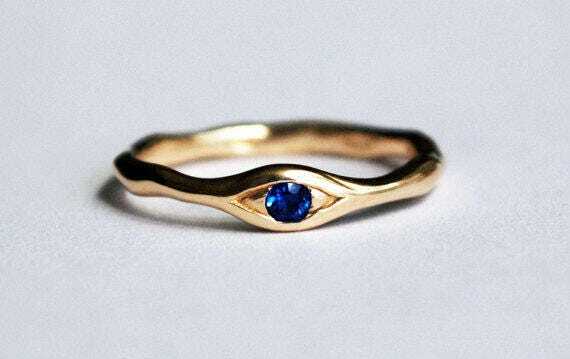 This eye ring is solid cast 10k yellow gold set with a 2.5mm faceted natural blue sapphire. Buffed and burnished to a satiny glow, it is available in a small edition, US sizes 5-7.5. 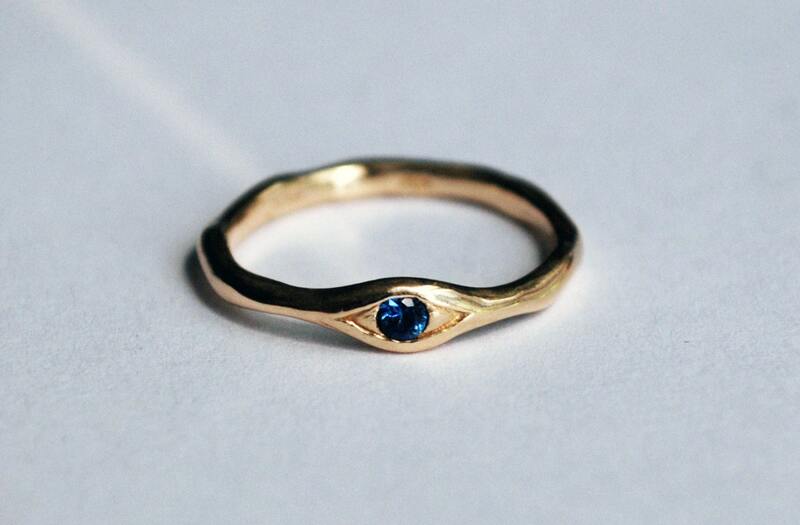 Gorgeous, dainty ring with a super sparkly sapphire! 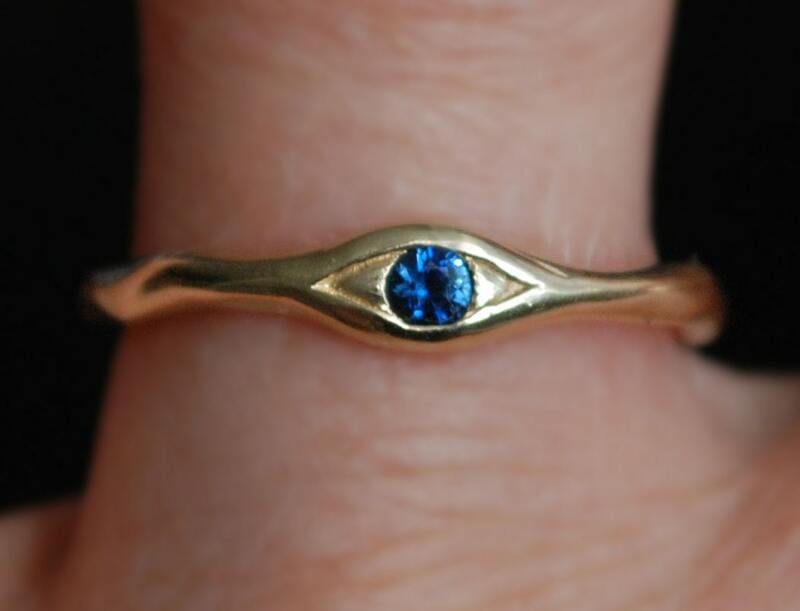 Great communication, helpful advice, prompt shipping - great experience ordering a unique and cherished birthday gift from my mother. Thanks!